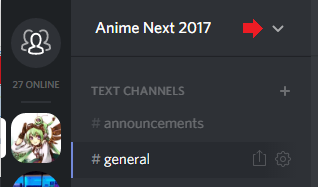 How to know which rights my roles on a discord server have? For example, how do I know if my @everyone or @here in a discord channel is actually annoying people, even if the server doesn't have emotes especially designed to be used to express this sort of discontent? Or any of the other rights you can assign to certain roles in the "Roles" management tab inside the "Server Settings" of a server without being the admin and being able to open these settings? Also, from the flip side, how can I acquire which roles may be eligible for a certain action I want to take on a server, for example joining a channel, without being a moderator with insights into the management system? click the small arrow next to the server name. When mentioning a role, every user that has access to the channel will get a notification and the channel will be highlighted as if mentioned directly. To allow a role to be mentioned by anyone, enable it for that role under Server settings > Roles > Allow anyone to @mention this role. Many server owners like to enable this for a short time when wanting to mention all users of a role once and then disable it again when making announcements to a specific role. And this is how to stop @everyone notifications. How do I log into Discord?